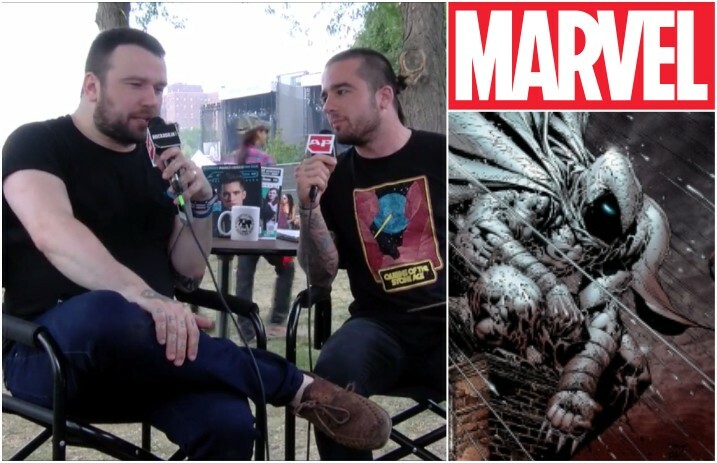 Say Anything's Max Bemis is filling in fans on his upcoming work—including a new comic book for Marvel and his band's new album—in a chat with APTV correspondent Stevie James at this year's Riot Fest. Watch the video below! It looks like the end of 2017 will be busy for Bemis, as the musician and writer says he's preparing a new Moon Knight comic for Marvel Comics. Bemis has previously collaborated with Marvel on the Foolkiller and X-Men franchises. Bemis' new Moon Knight comic is due out in November, the same month that Say Anything embark on the 10-year anniversary tour for their 2007 third album, In Defense Of The Genre—they'll be playing the full album (and others!) in its entirety. Check out the complete list of cities and dates here.